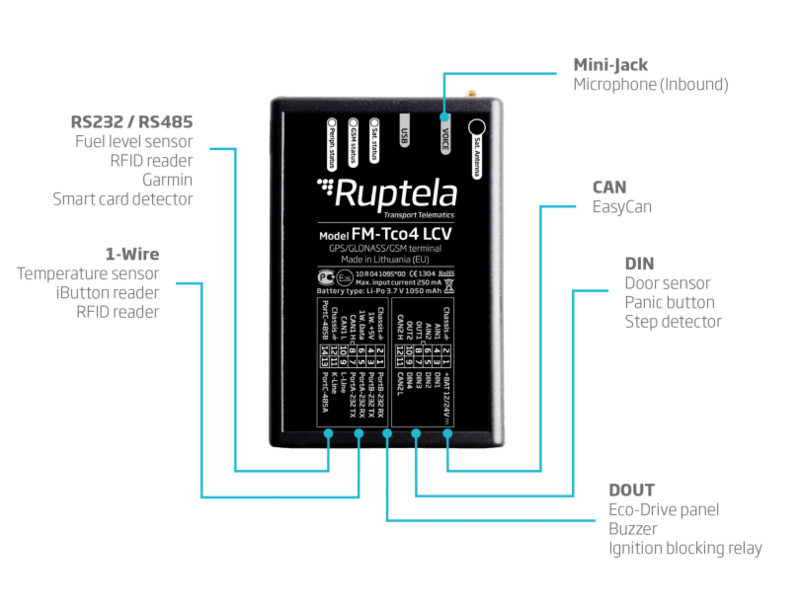 High-performance tracker for light commercial vehicles. 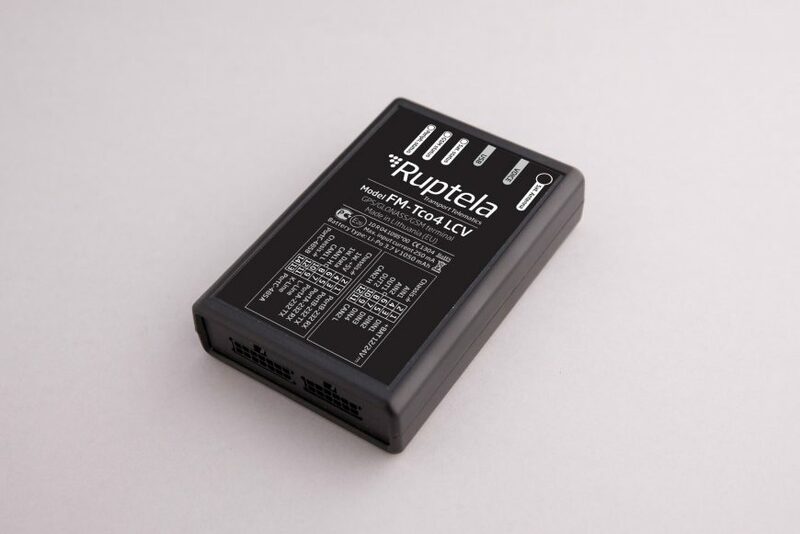 The FM-Tco4 LCV GPS tracker is specially designed for light commercial vehicles. 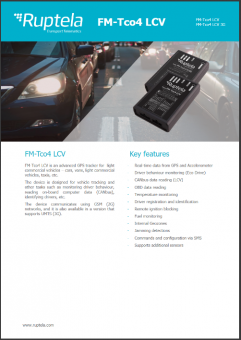 Install FM-Tco4 LCV faster and easier with OBDII Harness. OBDII harness is used to install GPS trackers to light commercial vehicles. FM-Tco4 LCV tracker can also get parameters via OBD II port from various vehicles. Step-by-step we are expanding FM-Tco4 LCV capabilities with databases from vehicle manufacturers. Supported manufacturers: Renault, Volvo, Mitsubishi, Lexus, Mazda, Kia, Hyundai, Mercedes-Benz, Toyota, Ford, Nissan (others coming soon). Available parameters via OBD II port: speed, RPM, odometer, fuel level and others. FM-Tco4 LCV – works with 2G networks. FM-Tco4 LCV 3G – works with 2G and 3G networks.